19 September 2017, Noida: Noida is an important city in the NCR region and one that generates the highest revenue for the Uttar Pradesh Government. Some of the biggest MNCs working in India have their offices located in Noida and facilities that they get in Noida are top notch. But for a long time, one important issue has been persistent – the issue of cleanliness and garbage management. Due to lack of a proper municipality, the Noida and Greater Noida Authority have been performing the civic functions themselves along with their primary responsibility which is development of the city. 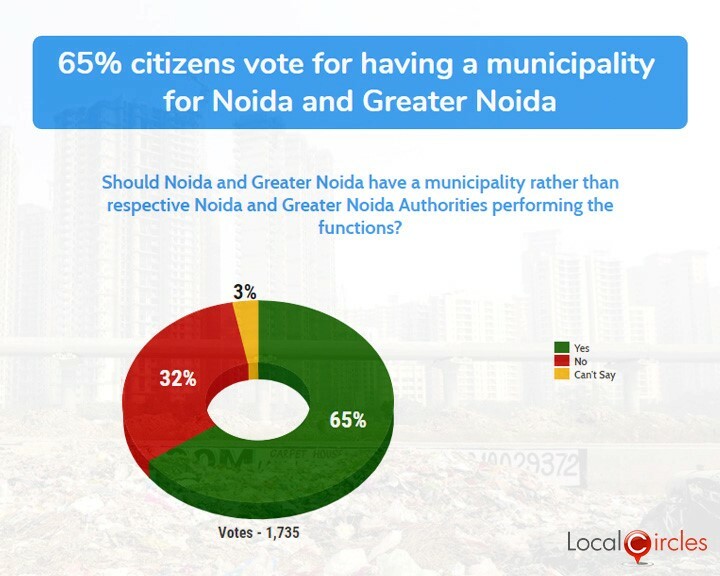 To check the citizen pulse on this issue, LocalCircles conducted a survey and asked people if Noida and Greater Noida should have a municipality rather than respective authorities performing the functions. 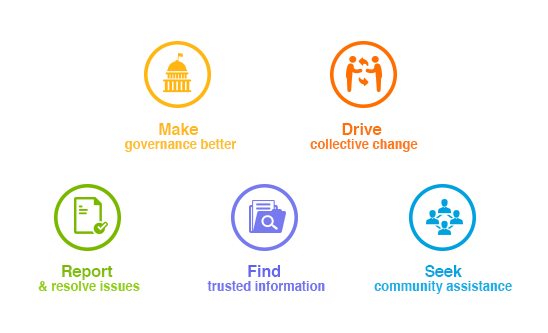 Responding to the survey, 65% residents said that a separate municipality should definitely be created whereas 32% said that a municipality should not be created. 3% respondents were unsure about it. The RWA federation of Noida had recently approached the District Magistrate on this issue. The District Magistrate acknowledged the need of a municipal body in Noida and wrote a letter to the Urban Development Minister for Uttar Pradesh highlighting the failure of respective authorities in handling civic responsibilities. Since Noida Authority is involved in a large gamut of activities, the municipal services that the city needs have not been up to the mark and garbage collection and management has been a big area of concern for the Noida residents. Empty plots being turned into heaps of garbage is a common site and lack of proper waste management zones had added to the woes. 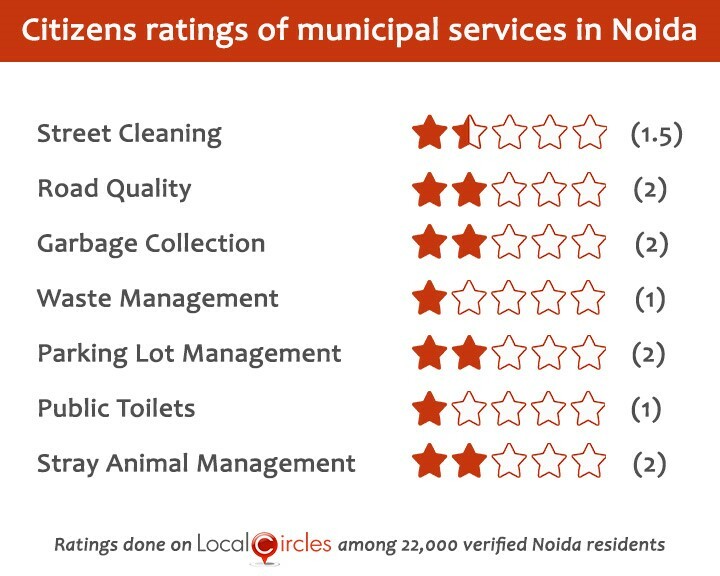 May residents of Noida and Greater Noida on LocalCircles also rated different civic departments handled by the authorities and the results do not paint a pretty picture. Functions like garbage collection, road quality, parking lot management and stray animal management were given 2 stars by the citizens. Waste management and public toilets were voted 1 star while street cleaning was given 1.5 stars. A dedicated municipal corporation is the need of the hour for developing districts like Noida and Greater Noida so that the respective authorities can concentrate on other development work and the cleanliness in the area can be taken to the next level.